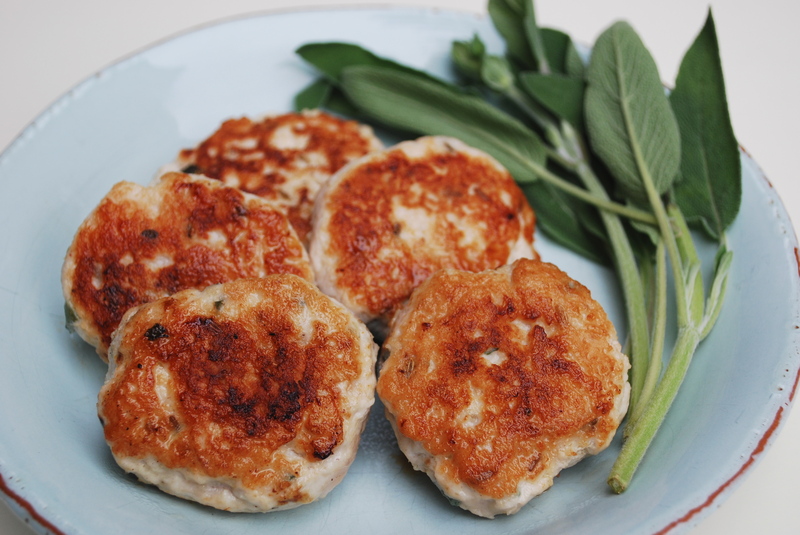 Turkey Sausage Patties | Time to Cook! My friend Sarah told me about this healthy breakfast sausage recipe that she makes for her family. It’s great! Next time I think I will make it with “dark” ground turkey (available at the meat counter at Whole Foods) since it is a bit more flavorful and less dry. Mix this up the night before and it will brighten your Saturday or Sunday morning! Note: I did use a pinch of Herbs de Provence, plus a little extra fennel seed, plus a bit of fresh rosemary. Also, you can grind the spices in a mini prep processor or I have an extra coffee grinder that I dedicate to grinding nuts and spices only, and that worked well for this. Recipe from Gwyneth Paltrow’s blog Goop. 1. Using a mortar and pestle, Flavor Shaker (gotta love Jamie Oliver) or mini food processor, bash the fennel seeds, chili, cayenne, salts and black pepper together. Combine this spice mixture with the sage, turkey and maple syrup in a bowl until thoroughly combined. 2. Form the mixture into 12 small, thin patties. Heat the olive oil in a large nonstick pan over medium-high heat. Cook the sausages for about a minute and a half on each side, pressing down with your spatula to really brown them and keep them thin. Serve warm.